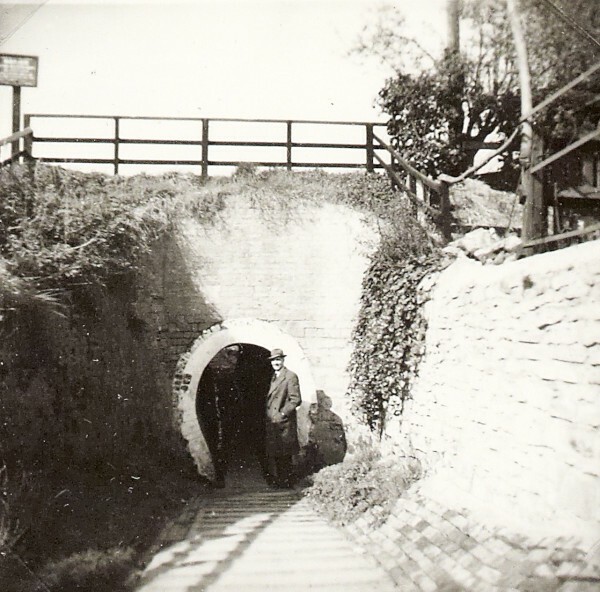 Black and white photograph showing a man stood beside the pedestrian aqueduct going under the Grand Union Canal in Cosgrove. Taken from the path leading up to the aqueduct, a fence and signpost in front of the canal can be seen at the top of the photograph. This photograph is on page 63 of the C N Hadlow photograph album.